Dirt Busters of commercial kitchen deep cleaning. We take the worry out of your hands with a service that not only complies with health and safety laws but will also ensure you meet your fire safety obligations as well. We are insurance compliant and work to B&ES, TR19 standards. We will provide a full report which will include the sanitation specification check list, risk assessment, method statements and COSHH details about all the products which we have used. As part of our routine procedure we will minimise the risk of fire and bacterial contamination by removing grease deposits to ensure your commercial premise is sanitised to the required standard. We also carry out canopy cleaning to ensure standards are maintained, and legal compliance is upheld. Our services are tailored-made to suit your needs, so whether you require a weekly program or a annual one, we can help. 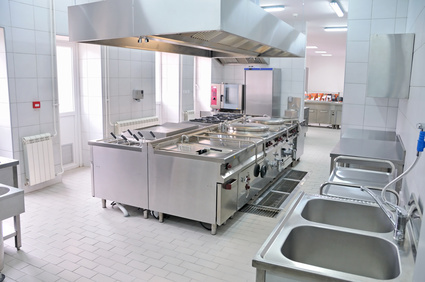 Health and fire safety are vital ingredients for all food preparation areas. You may be wiping down your cooking equipment, canopy hoods and filters regularly, but what about the parts you can't see? Your extract system is the ideal place for oil, grease and other fatty deposits to sit and when these build they become a health and safety problem and a extremely dangerous fire hazard! If you want peace of mind about your business premise call us today! We work with a number of businesses such as hotels, restaurants, facilities companies and more across the North East, so we have a vast range of experience in all aspects of hygiene control.